I think the question on everyone's mind this morning was "Who didn't see this coming?" 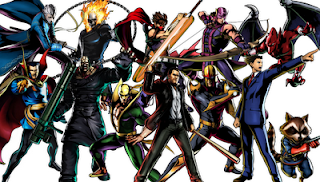 In what seems to continue their tradition for this generation, Capcom announced Ultimate Marvel Vs. Capcom 3, an expansion/re-release of February's Marvel vs. Capcom 3: Fate of Two Worlds. It's the game you fell in love with five months ago with new characters, stages and features. While the four may have satisfied players' tastes for the next couple of weeks, it would seem that a few internet detectives weren't done for the day. 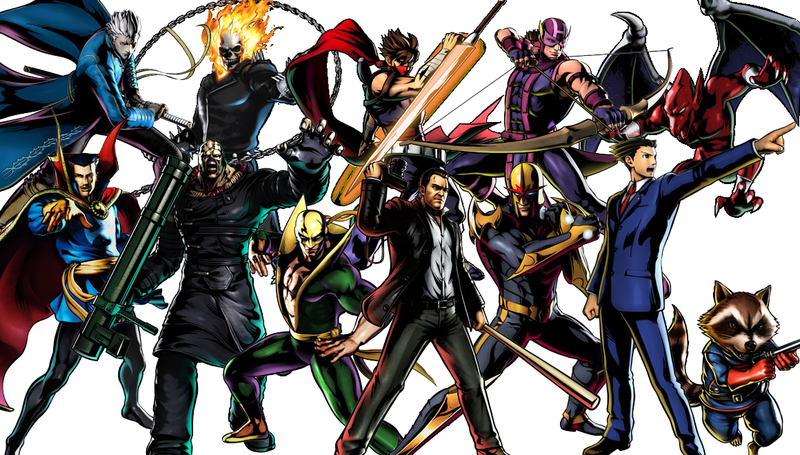 Just hours after the game's announcement, artwork for the remaining eight unannounced characters were found on Capcom's very own servers. You can see what the complete list looks like after the jump. I think that takes some of the wind out of Capcom's UMvC3 showing at Comic Con this weekend right? Joining these characters are eight new stages, rebalanced gameplay, and additional/enhanced gameplay modes including the fan heavily requested online spectator mode. All this can be yours this November for the "low price" of $39.99. This re-release model is not surprising given Capcom's recent release history. Last year the publisher released Super Street Fighter IV, a enhanced version of 2009's (2008 in Arcades) Street Fighter IV which added ten new characters, new stages and some new modes. Last month saw the release of Super Street Fighter IV Arcade Edition which gave players four new characters and some new online features. The former was a disc based release while the latter players had the choice to download it through their platform's online store. Finally, this Fall Capcom is also releasing Dead Rising 2: Off The Record, an alternate look at 2010's Dead Rising 2 which features Frank West as the main character, one new area and some new game mechanics. Now that the cat is out of the bag, is this enough for you to Get Hype? From what I've seen, fan reception over the announcement is pretty split. Fighting game enthusiasts seem stoked for the new characters and balance tweaks, while the more casual fans are a little bummed they "have" to throw down another $40 nine months after its original release. Personally, I'm surprised at the lack of no additional female fighters and slightly amused at the lack of an actual Mega Man character. Make sure to tune into Saturday Morning Arcade LIVE this Friday to hear more of my thoughts regarding Capcom's decision as well as the rest of the cast's. Hopefully this info dump will be enough for you true players until November.